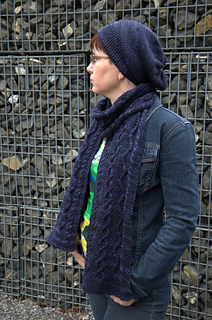 By gauge is missing “in 4”, not in 5” - this is a suggested swatch size. Buy Urban Legend Scarf too! Together with the hat is it only 2.9 $! 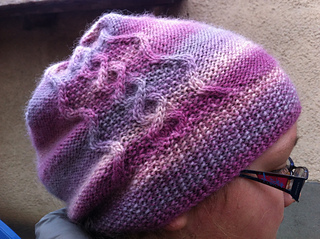 Slouchy hat with beautiful cable pattern. This shape suits most of people and most head/face types. 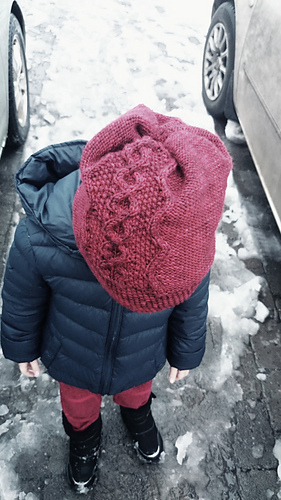 It looks great knitted from semisolid yarn, which makes the hat interesting, but does not distract from the pattern – the cables will still be visible. Adult S, M, L, to fit 50(54, 59) cm / 19¾,(21¼, 23¼) inches head circumference. Height of the hat is 26,7 (29.5, 29.5) cm / 10½ (11½, 11½) inches. 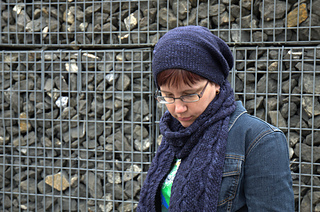 GAUGE: 19 sts x 26 rows in stockinette st with larger needles or 17 sts x 26 rows in seed st with smaller needles.